Increasing blog's traffic is every blogger's aim. Whether for reaching out to a larger audience, or generating more income through a blog, or to create awareness about a particular topic, he needs more traffic on his blog for his efforts to be of any worth. You might spend all the time and hard work you want on your blog. But unless you don't have a decent traffic, all your struggles will be in vain. Hence, the more traffic, the better. Are you waking up daily, eager to check out your blog's traffic, only to find out that there has been little or no improvement in your stats whatsoever? There must be something you are doing wrong, or not doing at all! Here is a list of things you can do to increase your blog's traffic. Or rather, here is a checklist to help you ensure that you are doing all the necessary things correctly. Post frequency and timings are extremely important for your blog's rankings. First of all, search engines such as Google like to see fresh content on websites. If your blog is struggling for traffic, then you must publish at least one post daily. The more frequently you publish posts, the more quickly your rankings and traffic grows. For example, our other blog SEM had a million+ Alexa ranking when it started! We have been publishing two posts daily for the first two months. And in those two months, the Alexa improved dramatically and it now stands at around 50,000! Post timings are important as well. Not only do you need to be consistent in your timings, you should also choose a time that's globally significant. Choose a time windows that best suits your majority audience. Our publish timings are 12 01 am each day! Not only does this suits our audience, it also is consistent timing. Once you choose a time, stick to it! Not publishing posts on your fixed time can drop your Alexa! This is what happened to me at SEM once or twice. I made a mistake in scheduling my post, and it didn't publish at the set time. As a result, the Alexa didn't improve, despite the two brand new posts published that day! Backlinks are very important for a blog, but only the quality ones. 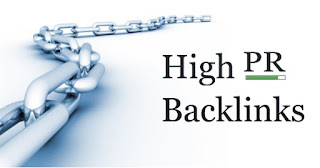 Backlinks refer to in-bound links to your blog from other sites. Backlinks give you instant traffic from other sites. But be careful about them. Trust me, you don't want cheap backlinks to your blog. They will hurt your rank instead of improving it. Never buy a backlink package such as "1,000 backlinks for $9.99" etc. Try to build genuine backlinks on sites with a decent rank. How to build backlinks? Well there are many ways. Participate in forum discussions, and recommend some content on your blog to others. Also add your blog's URL to your signatures. This will leave a link to your blog each time you post a comment on a forum. Another way of increasing backlinks is by guest posting on other blogs. Write for other blogs in return for backlinks. If you've got some money on hand, then why not advertise your website? Advertising your blog is one of the best ways of increasing traffic, since it gives you instant exposure. Ads on sites relating to your niche can give you much more benefits as compared to other sites, since the traffic on similar niche sites is interested in exactly the kind of stuff you, or other similar sites have. Interacting with your audience is the key to retaining and increasing your traffic. Adding stuff like polls, questions, surveys and forums can increase your interactivity. Also, use such a writing style that addresses the readers directly. Be casual and friendly, and don't be (too) formal. This method is highly effective. Not only does it give you immediate traffic, it also gives you quality backlinks that improve your traffic in the long run. Write an article on a topic relating to your website, and submit it to popular article directories, such as Squidoo, Hubpages, Ezine Articles etc. For example, say you have a blog about affiliate marketing. You can write an article on affiliate marketing tips, and then mention your own blog in that article. 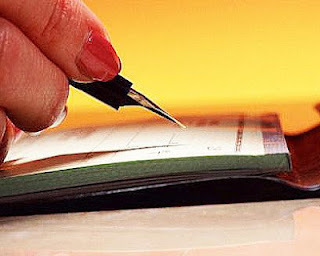 Then submit that article to popular directories for traffic and backlinks. One thing though. Try not to write on sites that give no-follow links. Such sites include eHow, articlesbase, examiner etc. Sites like Squidoo and Ezine Articles don't give no-follow links, which is preferable. Discussing hot topics can get you in search engines' good favour. Google likes to see the latest content. Not only that, people also want to see latest content. Discussing latest topics gives a good impression of your blog being up to date. Not only that, it draws a lot of traffic, and indeed contributes a lot towards this very blog's traffic. Encourage guest posting on your blog. There are many advantages of doing that. First of all, it will increase your post frequency, which, as we already discussed is a good thing. It will also reduce your workload and effort. Secondly, it will increase your traffic slightly, since fans from the guest's blog will want to read what their writer has written on another blog. Be careful about this though. 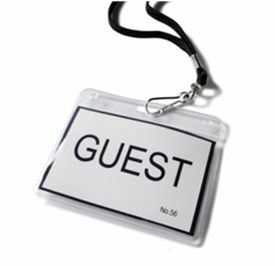 You have to give out backlinks to the guests' blogs. Too many out going links without a nofollow attribute and your rank will start to drop! Search Engine Optimization is so vast a topic that entire books have been written on it. But you don't need to read books. All you need do is learn some basic SEO techniques, and apply them to your blog. SEO is extremely important if you want search engines to find your blog easily. You should be familiar with the most basic SEO methods. Keep keywords in mind while writing titles and introductory paragraphs. Also write two or three line meta descriptions for your posts. If you are using WordPress, then you'll need to add meta keywords as well. Complete these basic steps and you're done with the basic SEO, although this is, by no means, the end of it. Also, learn how to generate and submit a sitemap for your blog to major search engines. This is an important SEO step that every blogger needs to take to ensure that all of his posts and pages are indexed properly. You'll be surprised at how useful social media can be. Make public profiles on popular networks such as Facebook, Twitter and Google+ etc. These will help you build a fan base of your blog. Social Media is also great in the sense that it provides you a much greater exposure through your fans than you could get on your own. So share your new blog posts on social media not only to gain extra traffic, but also to retain your existing traffic. Q&A websites can be a great source of traffic for blogs. 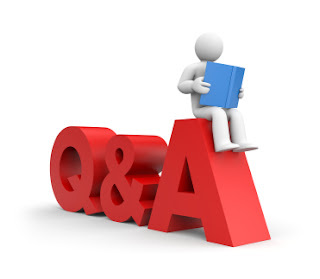 Get active on popular Q&A sites, such as Yahoo! Answers, Wiki Answers etc. Search for questions related to your area of expertise, and answer them. Then provide your website link as a source. For example, if you are an affiliate marketer, answer some questions regarding the field, and answer them well. Then give the link to your blog. You can also do this on popular forums such as Blogger Forum etc. Thanks Muhammed For This Helpfull Article. @Qasim Thanks for this post, but how can i add signature to my feed newsletter? Great post! Very informative and useful post.Thanks for sharing. You have given an excellent insight about Alexa score i.e. fixed timing. A new approach. Keep going gr8. Thanks for sharing useful tips for increasing web/blog traffic. Keep it up. Thank you very much for such a nice post. Awesome article Bro......Blog traffic is like addiction.. the more you got the more you want.... Thanks for sharing such a beautiful post..
now iam going to share my website link for backlinks..
A great ' how to do' post. could you write a post entirely dedicated to basic seo? This is great information. I will apply this tips. Proven Wind Turbine thanks for the update, i just read and knew this to you. thank you! This post is really helpfull. Insightful post...gave me heads up on the timing of my blog entries. I was wondering if Wiki Answers allows adding a link .. I tried but it did not work. i found this blog very useful. this is the very useful blog. FRee WEbsite Traffic is gud. Promoting a blog by creating a Facebook event may be a good idea. Read my blog http://santoshmishra.com for step by step plan to promote your content via Facebook event. I have a website http://www.smsinhindi.org/ . How can I increase my page view to 100000 per day? Is there any technique to get best rank in Google? great tips. will put some of them into practice. nice and informative post brother. 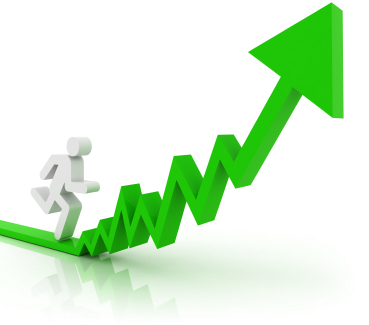 I will surely follow these steps to increase my blog traffic. Really great information. Thanks for sharing the insights, One has to get update on this latest. Although it has little tricky and beginner need to keep your track by expert advice. Lots of tools available for PR but you need to understand the basic first..yeah the more link you have the more chances to be in top. I have compiled best of trick & tips for PR at http://oyaah.blogspot.in/ which help you to understand step by step tips for increase PR of your site. Hi.. really good infromation.. thanks for sharing this.. Such an amazing informative article! Thanks for share it. Thanks for making available such a great article. Thanks great tips, love the way your site is laid out! Nice and very useful post. I also do a lot of SEO for my blogs. I had good number of visitors for my personal blog but I wanted to double it. I have tried using SEO strategies hardly but didn't get results as expected (but there was a small improvement). Then one of my friends asked me to change the host (from Shared to VPS Hosting). It was a bit hard time for me to change the host since VPS hosting is bit expensive compared to Shared Hosting. But VPS hosting is cheap than Dedicated Servers. So I thought to try a VPS for few months. I was searching for a VPS Hosting provider to buy a VPS for a month or two. It was a really challenge since most of the VPS hosting providers charge annually. Finally I found a good provider (VPSWEBSERVER.com) bought for a month (they gave me 50% discount for the first month). I didn't stop doing SEO after transferring my blog to VPS. After two weeks I could see good results. Shared Hosting is good but can't handle a lot of visitors/traffic. And there they issues with uptime. VPS hosting is really powerful compared to Shared hosting. It can handle a huge traffic and also have a good uptime too. So when we talk about seo and traffic, I think we should talk about hosting too. This is my experience and thought to share with you all. very useful post..hope,it will help my blog to increase my traffic. really a clear conception about high traffic for blog. I wonder sometime we dislike traffic in road but we super like traffic in blog. 100% true. Thanks for your great help. You can also advertise in Talk Money Online free for Increasing your Blog Traffic. Thanks! Some really good tips there! 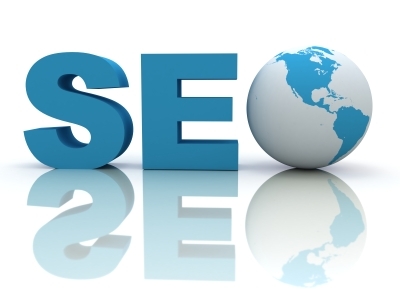 Very nice and very Important blog for SEO's. Thank you very much for sharing such a valubale Information. Keep Posting some valuable tips for seo's. May I simply say what a relief to find somebody who genuinely understands what they're talking about online. You certainly realize how to bring an issue to light and make it important. A lot more people have to look at this and understand this side of your story. I can't believe you are not more popular given that you surely have the gift. Hack any facebook account for free www.hackfbaccount.net. Blogging tips and tricks for Free promotion of my blog. Spot on with this write-up, I truly believe this web site needs far more attention. I’ll probably be back again to see more, thanks for the info! Visit www.hackfbaccount.net today to download facebook account hacker. Online facebook hacker and its all free now download www.hackfbaccount.net. This post and share good tips. I have also a blog but there is not so much organic traffic coming on it. Just 50 articles on it. can any one tell me after how many articles i will be able to get organic traffic and real readers?
. this thanks for these easy tips on how to increase the website traffic. awesome !! "Your tips on blog traffic is pretty good, but it still looks raw. During reading this article, for a moment i felt something inside me like, there were some missing tools that i didn't knew before, seriously i enjoyed learning them. All the factors are impressive! By the way, i have written something similar to this. Check it out maybe? Yes great collection, i would like to add to it that Google Webmaster Tools tell so much about the website, i guess there should be a dedicated post about that. I seem to be slowly loosing cutomers every month since march this year. Something to do with a Panda update. When ever I try and do SEO it seems to make it worse.